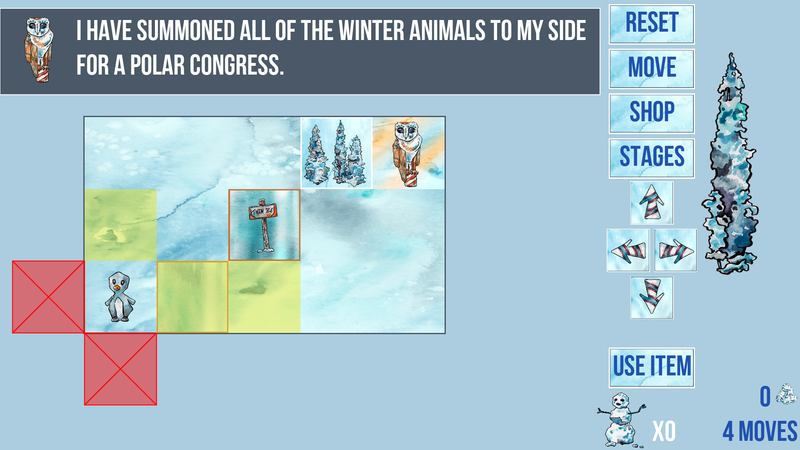 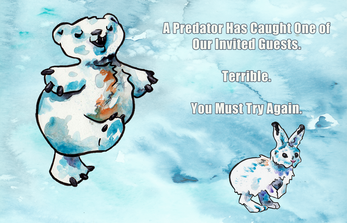 Arctic animals have been summoned to the side of the Winter Monarch. 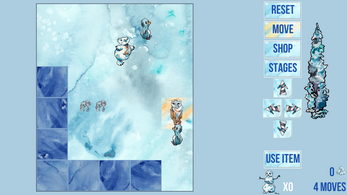 Discover fourteen unique puzzles, each hand painted in vibrant watercolors. 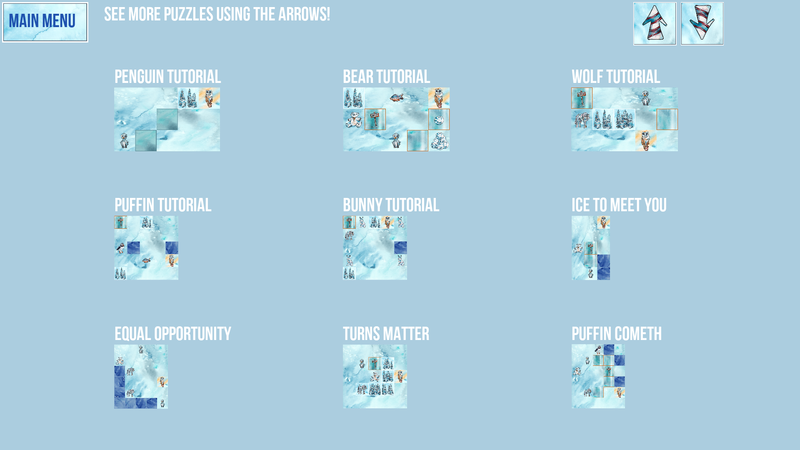 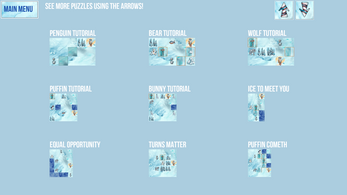 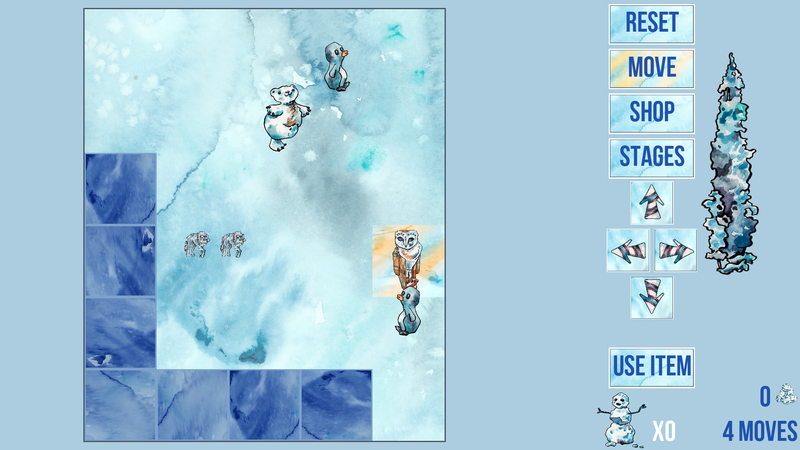 The object of the game is to safely march all animals to the same tile as The Owl. 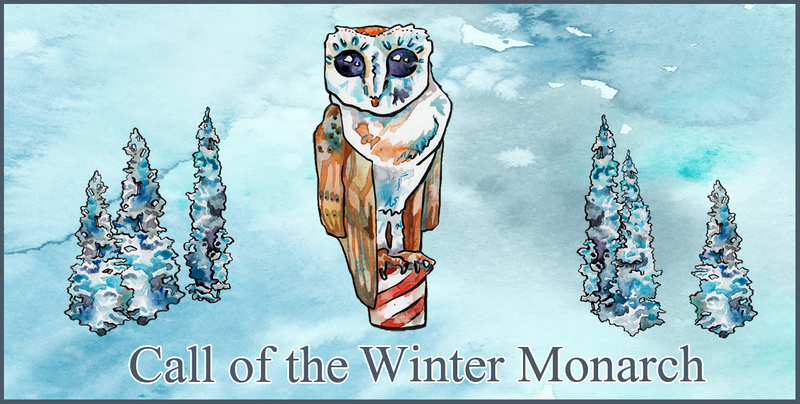 The Owl kindly rules this winter paradise. She has summoned all of her arctic friends to a very important meeting. 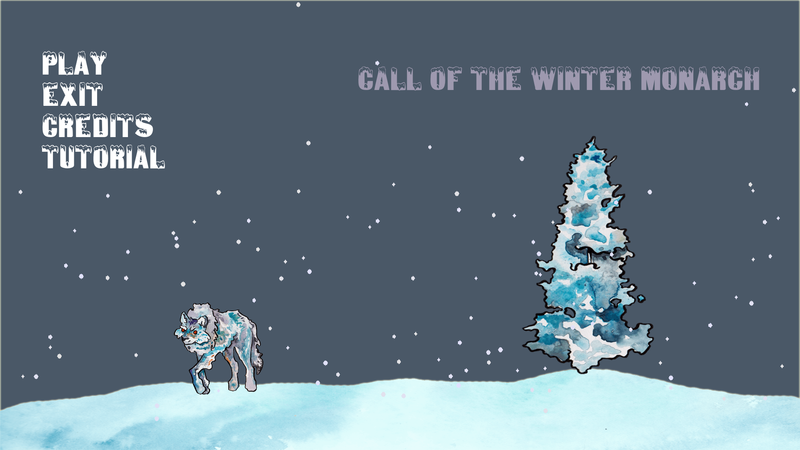 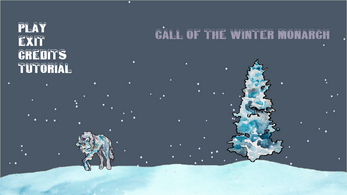 Call of the Winter Monarch was made by team Ranch BLT for Winter Wizard Jam 2015.